What Makes Something an Issue? An issue is a topic that connects to citizenship, identity, and quality of life and on which well-informed people have different views and perspectives. Issues present opportunities and challenges for building a society in which all Canadians belong. - Involves a topic that affects individuals and collective groups. 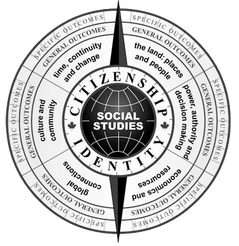 Students will discover how Canada’s political processes impact citizenship and identity in an attempt to meet the needs of all Canadians. This section is divided into 5 units of study.